Over the years there has been a lot of controversy as to whether protein is detrimental or beneficial to bone health. Early research suggested that a high protein diet caused an increase of calcium excretion in the urine. It was assumed that the increase in urine calcium was due to calcium loss from the bones, suggesting that high protein diets were detrimental to bone health. However, it was then determined that increased dietary protein was accompanied by a significant rise in calcium absorption in the intestines, negating the excretion in the urine. And the latest research advocates that protein is critical to maintaining both bone mass and lean muscle mass as we age. 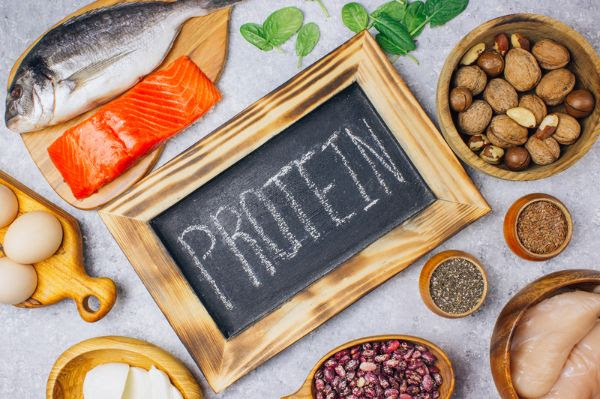 In fact, the most recent studies have concluded that a relatively high protein intake is associated with increase in bone mineral density (BMD) and reduces the incidence of osteoporotic fractures. If you have been following me for a while, you know that I believe that osteoporosis is not just a weakness of our bones, but a weakness of our musculoskeletal system. Your muscles are essential to maintaining bone health and, study after study, confirms that a decrease in muscle mass has a detrimental effect on our bones. The loss of muscle mass as we age, known as sarcopenia, increases the risk of falls and fractures. In fact, a 2015 report from the American Society for Bone and Mineral Research found that people with sarcopenia had 2.3 times greater risk of breaking a bone when they fell. New evidence suggests that current dietary recommendations for protein intake may be insufficient to maintain muscle and bone mass as we age. It has long been recommended that adults should consume approximately 0.8 grams of protein per kg of body weight a day. However, we are now finding that this amount of protein is NOT adequate for maintaining healthy bones and muscles as we age. New recommendations advocate 1-1.2 grams of protein per kg of body weight a day, which is a 25-50% increase over previous recommendations. In a 2015 study, adults over the age of 50 who roughly ate 1.5 grams of protein/kg of body weight were better able to rebuild and retain muscle compared with control groups eating the RDA recommendations of 0.8g/kg body weight. A 2018 consensus paper indicates that higher protein intake (≥ 0.8-g/kg body weight/day) is associated with higher BMD, a slower rate of bone loss, and reduced risk of hip fracture, provided that dietary calcium intakes are adequate. Are all protein sources created equal? You can get protein from either animal sources or plant sources. Some believe that the source of protein doesn’t matter, where others believe strongly that one or the other is better. Animal proteins tend to have a good balance of all the amino acids that we need, whereas plant proteins may lack certain amino acids. It has been suggested that diets based on animal protein might have a negative effect on bone health. This is because animal proteins are thought to increase acid production in the body, leading to increased bone resorption and bone loss. 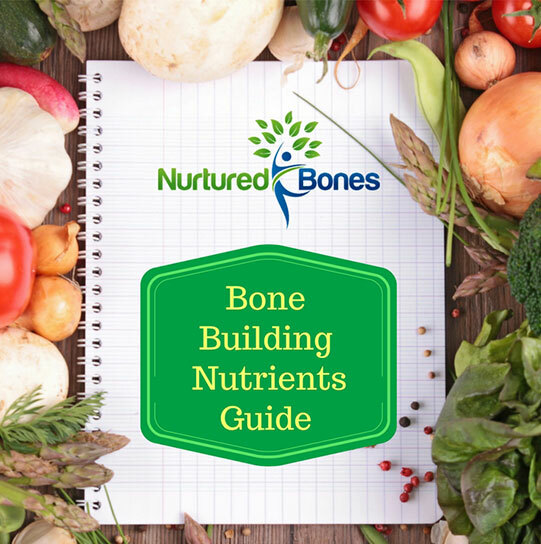 Some studies have seen a positive correlation between consumption of animal protein and an increase in urinary calcium excretion contributing to bone loss. However, other studies have found no evidence that consumption of animal proteins is deleterious to bone health. What I have found is that some people thrive on a plant based diet and others feel better when they include animal proteins. It is a very individual choice that often goes beyond health issues. My advice is that if you are going to include animal proteins in your diet, you offset any potential acidic effects by pairing the protein with 2-3 servings of vegetables or fruits. Fruits and vegetables are not only are rich in many bone building nutrients but also alkaline, which will balance out the acid in animal based proteins. It is also important to understand that the recommendation of 1.0-1.2 g/kg body weight of protein a day is just a rough estimate of how much protein you need. Protein needs will vary depending on weight, age, activity level and overall health. A sedentary person will need less protein than someone who exercises several times a week. For seniors or those with acute or chronic diseases, 1.2 to 1.5 g/kg may be necessary to over come the catabolic effects of aging and disease. One concern of a high protein diet is kidney disease. So those with kidney disease need to watch their total protein intake as instructed by their medical doctor. Bottom line: Insufficient dietary protein intake may put us at an increased risk for developing osteoporosis. Still confused as to how much protein you need? Call me and schedule a consult to discuss all you bone health needs!